When one thinks of Milan, one is thinking about the latest looks and hottest trends. For this northern powerhouse is the driving heart of the Italian, if not European, design and fashion scenes with many of the world’s most coveted designers either located in the city or linked to the skilled makers and manufacturers of the surrounding region. Being the epicentre of style that it is, each year the city plays host to the Salone Del Mobile Milano an international gathering of design like no other that provides established brands and emerging talent alike a platform on which to showcase their latest and forthcoming collections. For almost a week, daily life gives way to the world’s interior press and retailers, which includes our team at Heal’s, who descend on the city hoping to catch a glimpse of the next big thing in furniture, lighting and home. 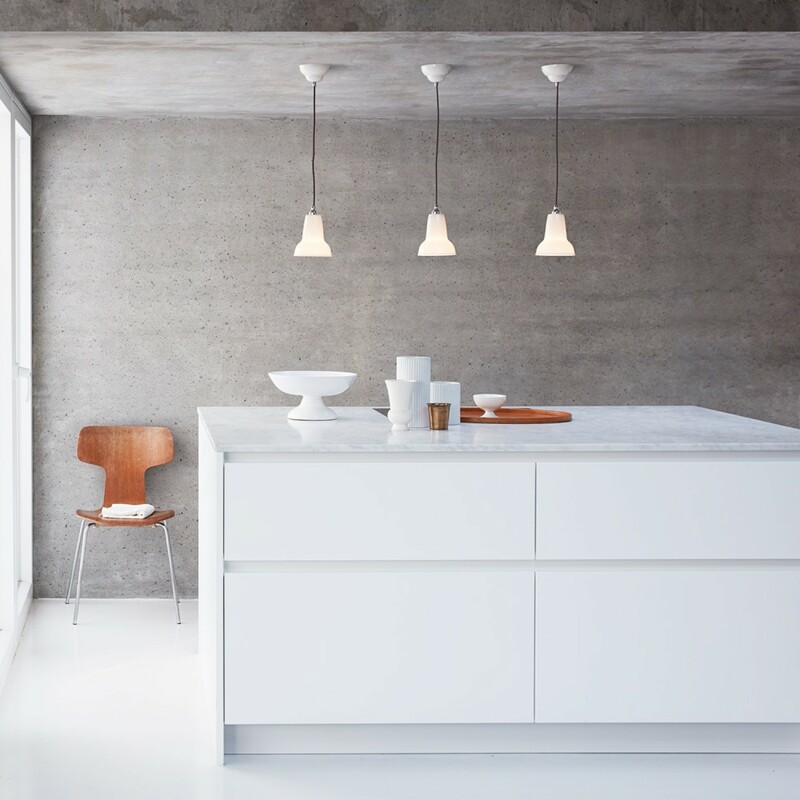 Any visitor to this year’s event would not be able to help but notice that, once again, lighting is leading the way in terms of design innovation and development with a number of Heal’s best-loved brands at the forefront of this wave. Of course, we understand that not everyone has the time to jet set over to Italy for the week, which is why we’re bringing Milan hot off the runway and direct to your home with the exclusive launch of Tom Dixon’s new Cut range and the Original 1227 Mini Ceramic collection by Anglepoise. 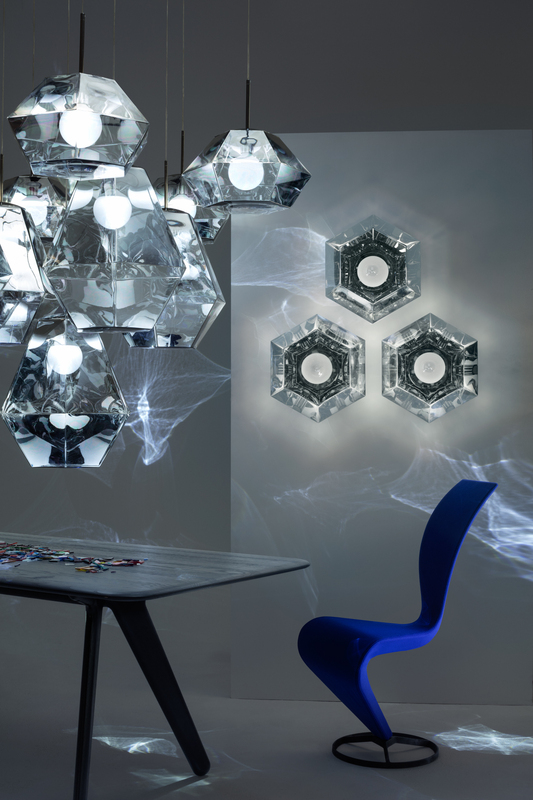 No stranger to spectacle, a glitzy Tom Dixon launch is a familiar sight at the Salone Del Mobile Milano. 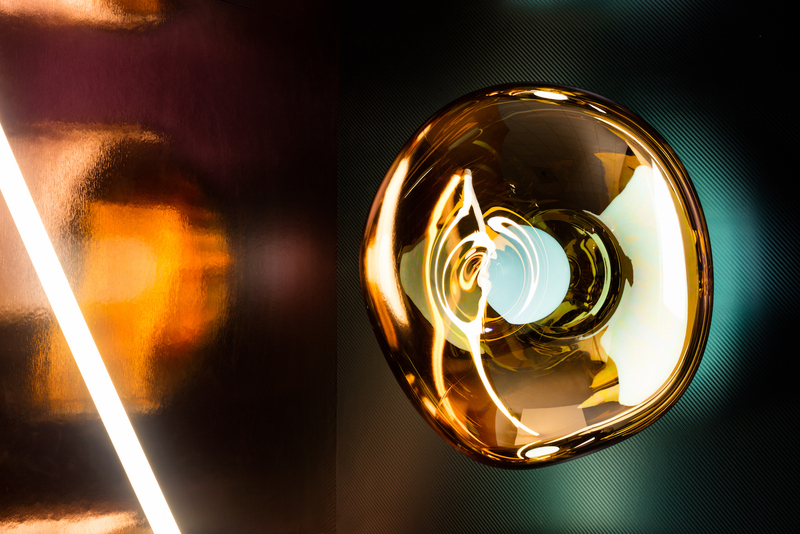 This year the London-based designer brings his Multiplex show to the cities Cinema and Galleria on via Manzoni, where, alongside a host of bars and eateries, he unveiled a number of pieces from his new lighting collection. Exclusively available at Heal’s for two weeks, the Cut range is described as “an exercise in optics” and consists of a diamond cut long and small faceted pendant and wall light. 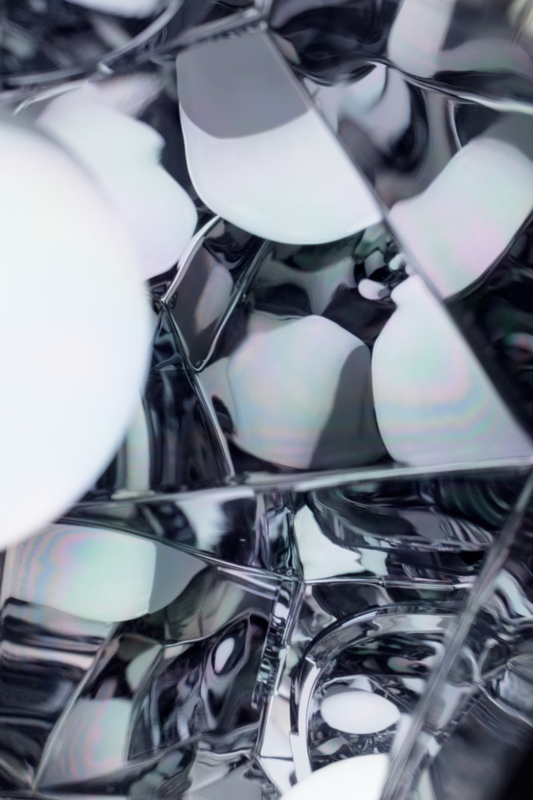 Coated in a space-age mirror finish, each piece transforms once light passes through its walls to reveal kaleidoscopic reflections that have been created using an innovative vacuum metallised process. Alongside this new range, Tom Dixon also introduces the Melt Surface light (pictured at the top of the page) an extension of his best-selling Melt series. For its latest collection, British lighting specialist Anglepoise celebrates the fascinating materiality of china porcelain with the new three-piece Original 1227 Mini Ceramic range, available exclusively at Heal’s flagship store and online for the next six weeks. 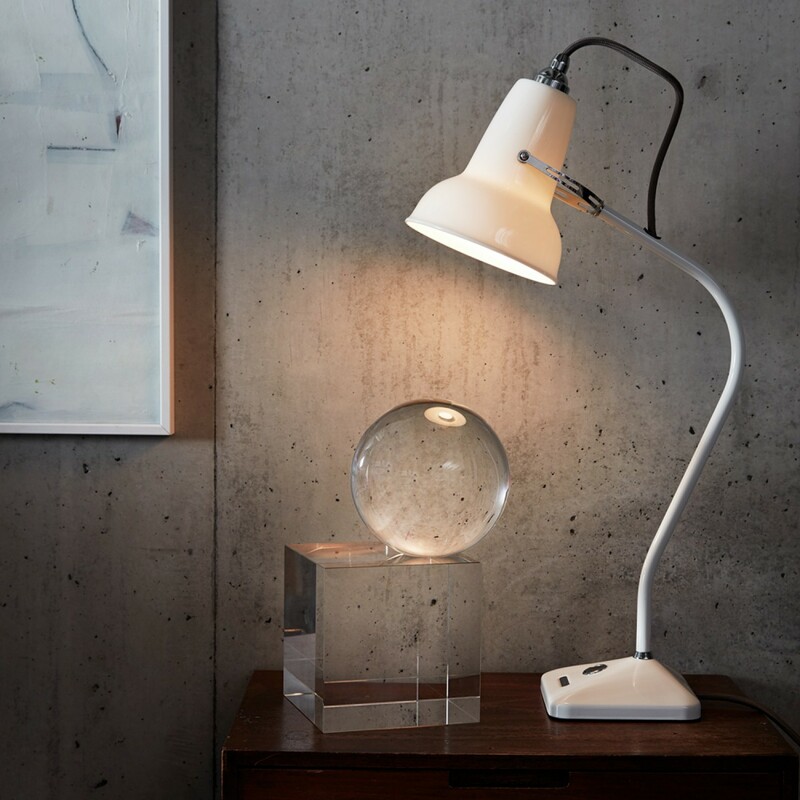 Adding a whole new dimension to the iconic silhouette of the shade, first designed for the brand in the 1930s, once switched on each light changes from gloss white to a glass translucency emitting a soft radiant glow to the surrounding space. 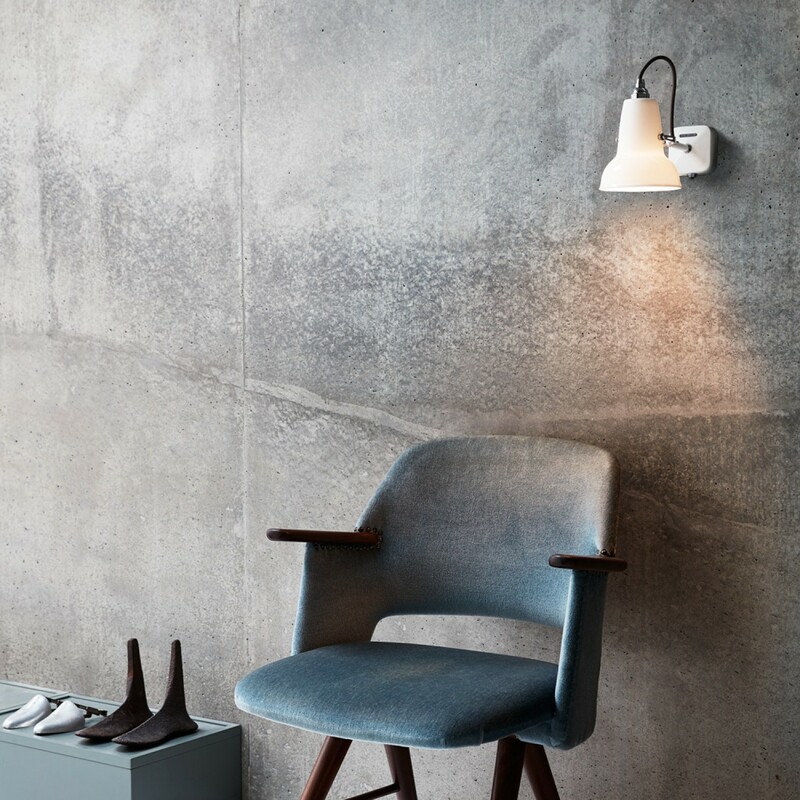 Consisting of a table lamp, wall light and pendant, each piece in the Original 1227 Mini Ceramic range is finished with chrome plated fittings and grey fabric cables to provide a subtle textural contrast. 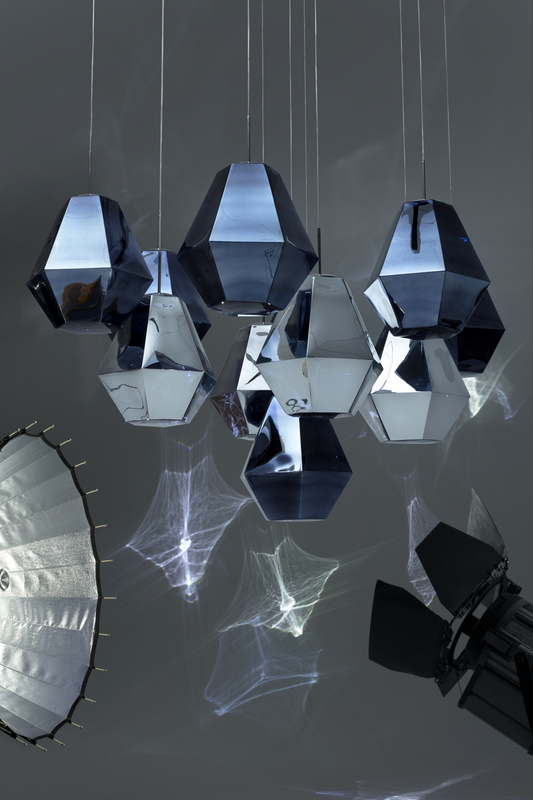 Get the latest looks from Milan before anyone else by shopping our exclusive new ranges of lighting in-store or online.